Cyberkov Recommendations and Awards | Cyberkov | Professional Cybersecurity & Consultation Firm. 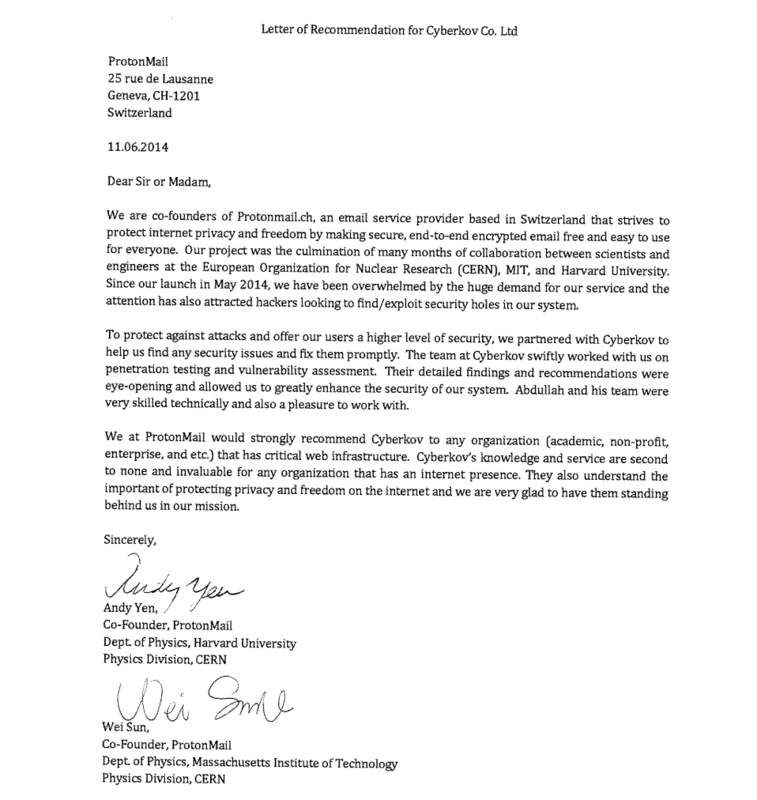 Cyberkov received recommendations from the prestigious scientific institutions of European Organization for Nuclear Research (CERN), Massachusetts Institute of Technology (MIT) and Harvard University; for Cyberkov's essential role in securing ProtonMail, the secure email service developed by collaboration of professors from Harvard, MIT and CERN. Cyberkov surpassed all expectations and excelled in its mission, and that is why the scientists at these institutions recommend Cyberkov for any security project involving critical infrastructure and high-valued assets. Dr. Andy Yen: Department of Physics in Harvard University, and Physics Division in CERN. Dr. Wei Sun: Department of Physics in MIT, Physics Division in CERN, and NASA. 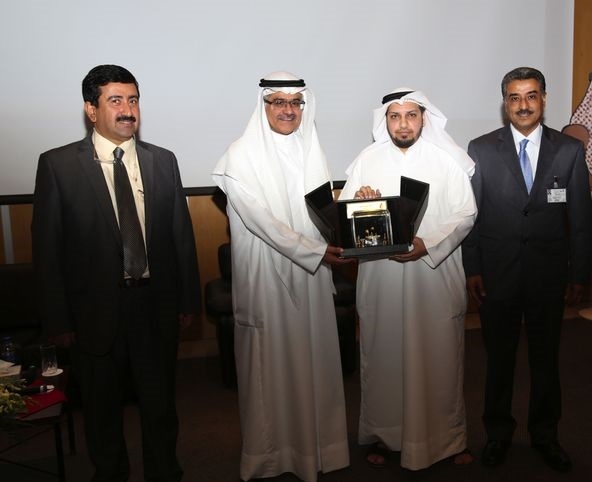 Kuwait National Petroleum Company (KNPC) Awarded Cyberkov Co. Ltd and CEO Mr. Abdullah Al-Ali for helping KNPC protect its network perimeter and web applications from the then-imminent threat of #OpPetrol, an Anonymous attack waged against the Oil & Gas sector in the region on the 20th of June, 2013. 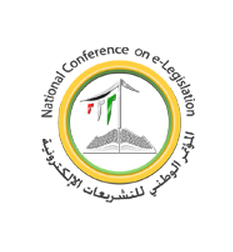 The Emir of Kuwait, Sheikh Sabah Al-Ahmad Al-Jaber Al-Sabah, awarded Cyberkov CEO Mr. Abdullah Al-Ali for his contributions and presentation in the Kuwait National Conference on E-Legislation, which took place in Kuwait City from 9 to 10 of June 2013.